Rifle Basix CZ-52 Trigger - This trigger is for the bolt action rimfire Model 452 and is adjustable for sear engagement and weight of pull. Produces very light weights of pull, uses factory safety. Functions with clean, crisp, single stage operation. May be user installed. Complete with instruction sheet, adjustment wrench and hardware. See all of our Rifle Basix trigger systems at our Rifle Basix Home Page! Trigger installed on a 455 with no problems . There was no modification needed on stock inletting (unlike the Timney). 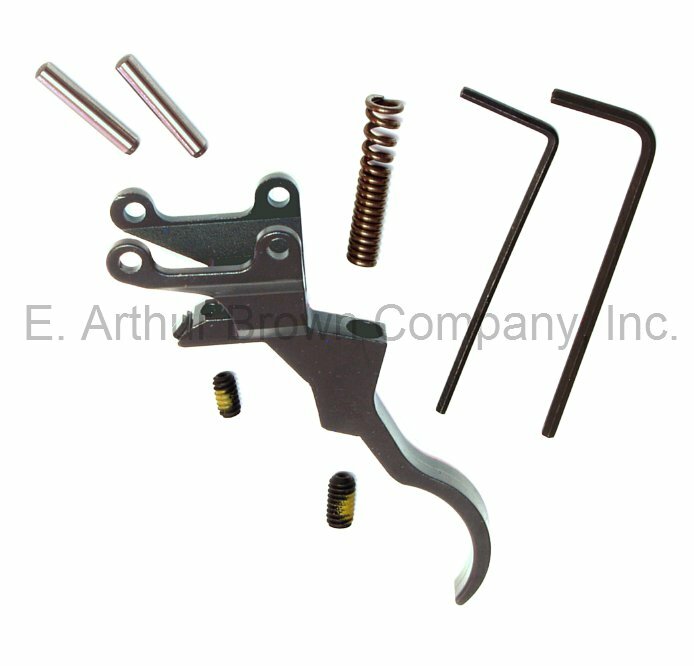 A high quality part that removes the creep compared to the factory trigger, while at the same time allowing the user to adjust weight of pull to lighter, consistent pull. A tremendous upgrade to an already great rifle. Same high quality service from EAB.